The units were supplied with 3 pin XLR connectors for DMX and bare wires for power. I opened the back housing and removed them. 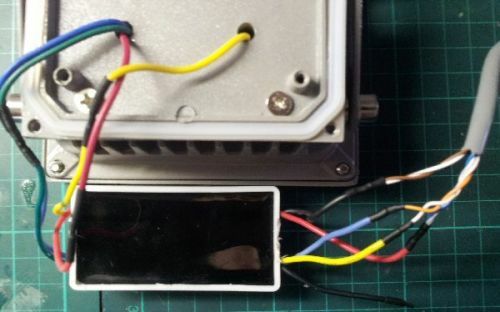 See here for how to use the AT3031 programmer to set the start address. 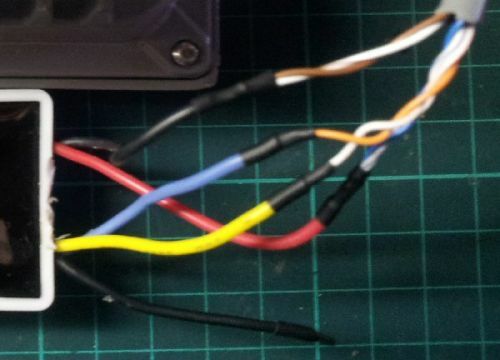 These photos shows which CAT5 wires (T568B standard colours) to connect to the internal DMX controller that comes with the unit. Note that both the 12V DC power and the DMX signal are carried over the same CAT5 cable as a P-DMX connection. 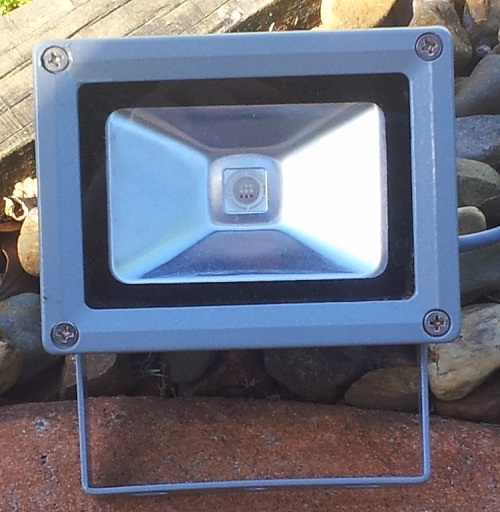 Completed unit sitting in my garden ready to illuminate. The longest CAT5 cable length I’ve tried is 10 metres which seems to work fine.